SUMMARY OF TERMS AND CONDITIONS OF PRIVATE SELLING OFFICERS AUCTION OF REAL PROPERTY ? COMMERCIAL Registration: To obtain a buyer number for the real estate auction, the buyer must complete online registration with Auction Firm and agree, if the highest bidder, to tender a deposit of 10% of the Purchase Price within 24 hours of conclusion of the Sale along with the applicable Purchase Form returned to the PSO within 24 hours of the conclusion of the SaleBe it understood that Richard F. Kruse (PSO) advises all potential buyers to seek legal counsel if for any reason they do not understand any part of the auctions TERMS and CONDITIONS. PSO can not dispense legal advice.Inspection: NoneFinancing: This purchase is NOT contingent upon your ability to obtain financing.Agency: PSO is acting as court officers pursuant to Court Order. 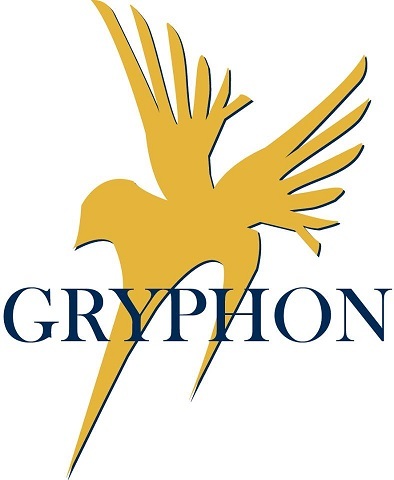 State Agency documents will not be utilized.Bidding: Bidding shall occur online at www.gryphonusa.com and will conclude on Wednesday, January 196, 2019 at 1pm Eastern Time. Contracts / Purchaser Information Form: This Private Selling Officer Auction is a foreclosure auction and requires the use of a State Approved Purchaser Information Form. There is no contract. The successful bidder for the purchase of the real property shall be required sign and return all documents to PSO on the next business day following the conclusion of the auction by email to [email protected] copy of the PURCHASER INFORMATION FORM can be obtained by contacting PSO Deposits: A deposit in the amount of 10% of the purchase price will be collected from the high bidder by wire transfer not later than 5pm on the day following conclusion of the auction.Wire Instructions: Wire details will be provided to the high bidder at the time of determination of same.Buyer?s Premium: A Buyers Premium of 10% shall be added to the high bid at the close of bidding. The high bid plus buyers premium shall constitute the Total Purchase Price paid by the Buyer to the Seller.Minimum Bid: This is a Foreclosure Auction and as such the high bid must be a minimum bid of 2/3 the appraised value of the subject property. Closing: Within Thirty (30) calendar days following the date of Court Confirmation of the Auction, Buyer shall be required to present the balance of purchase price in certified funds to the title agent selected by the PSO. At Closing, Buyer shall receive a Private Selling Officers deed to the Property in recordable form. Closing agent shall be selected by PSO and all closing costs, including title insurance, shall be paid by the Buyer. All taxes shall be prorated to the date of auction.Possession: Buyer shall be entitled to possession at closing.Condition of Sale: BUYER ACCEPTS THE PREMISES ?AS-IS WHERE IS?, WITHOUT REPRESENTATION OR WARRANTY OF ANY KIND BY SELLER INCLUDING ANY REPRESENTATIONS REGARDING ENVIRONMENTAL CONDITIONS AFFECTING THE PREMISES. THE WARRANTIES EXCLUDE, BUT ARE NOT NECESSARILY LIMITED TO FREEDOM FROM STRUCTURAL DEFECTS, CONSTRUCTION IN A WORKMANLIKE MANNER AND FITNESS FOR HABITATION. High Bidder Notification: At the conclusion of the auction winning bidders will receive an email advising of the item won as well as provided with an invoice for payment. Bidders will receive an email only and are responsible for checking your email account.Jurisdictions: The respective rights and obligations of the parties with respect to the herein terms and conditions and the conduct of the Public Auction shall be governed and interpreted by the laws of the State of Ohio. By bidding at the Private Selling Officers Auction, whether present in person or by agent, by written bid, online or other means, the buyer shall be deemed to have consented to the jurisdiction of the Court. Any controversy or claim arising from or relating to the any purchase contract or incidental document associated therewith, or breach thereof, shall be determined and settled by the County Court of Common Pleas in the Court Case related to this proceeding.By registering to bid, I agree that I have read and understand the previous terms and conditions.